Permission for reprinting is granted for non-profit use. We are here today for the Initiation Ceremony of the Three Jewels, which are the Buddha, the Dharma and the Sangha. I would like to clarify what taking refuge in the Three Jewels means since there have been growing misunderstandings in recent times. These need to be cleared up in order to receive the true benefits. What is Buddhism? Is it a religion? Buddhism is not a religion but rather the most profound and beneficial education based on forty-nine years of Buddha Shakyamuni’s teachings for all sentient beings. In 1923, Mr. Oyang Jingwu spoke at the University of Zhongshan. The title of his lecture was “Buddhism Is Neither a Religion Nor a Philosophy. It Is a Modern-day Essential.” This lecture was an insightful breakthrough that shook the contemporary Chinese Buddhist world. Since Buddhism is an education, we need to understand exactly what its objectives, methods, and principles are. In the Prajna Sutra, we read that its objective is the truth of the Dharma (the causes that initiate all the phenomena of life and the universe). Life refers to us while the universe refers to our living environment. Therefore, the educational content of Buddhism guides us so that we will clearly understand our living environment and ourselves. Today, the formal educational system only partially explains the phenomena of the universe and much of this remains to be proven. We are still discussing and investigating this limited part, not yet knowing enough to draw the correct conclusions. Unfortunately, even religions cannot provide comprehensive and satisfactory explanations of life as a whole, and are confined to a limited area of the truth. Therefore, the profound and extensive educational content of Buddhism is essential for every sentient being. The boundary of our living space is not restricted to a city, a region, or even just the planet earth. There are galaxies in outer space, comprised of innumerable planets, on which exist advanced life forms that are much more intelligent than human beings. These galaxies are also our living environments. Additionally, apart from the space dimension, there is also a time dimension, which extends from the past through the present and into the future. Thus, the environment in which we live consists of an infinite magnitude of space and time. Modern education does not normally include such an extensive discussion of this infinite living space and time. Even the well respected Confucianism only involves a single lifetime, ranging from birth to death and ultimately to the strong relationship that links us to our ancestors. These teachings cover our existence from the human realm to the heavenly realms, barely touching on the heavenly beings or ghosts but instead focus on how to behave as an honorable person. In contrast, Buddha Shakyamuni clearly described the Four Sage Realms of Buddhas, Bodhisattvas, Pratyekabuddhas, and Sound-hearers and the Six Realms of Rebirth of heavenly beings, asuras, humans, animals, hungry ghosts, and hells. [The beings in these ten realms have different degrees of awakening; for example, Buddhas have the most awakened minds while beings in the hell realms have the most deluded]. We exist in these Ten Realms. After we understand the truth of life and the universe, our thoughts, speech, and behavior will naturally change. In the past, our lack of understanding and delusion led to erroneous viewpoints, words, and behavior, thereby creating negative karma. We learn from the law of cause and effect that unavoidable consequences will result from creating karma, as good results come from good karma and bad results come from bad karma. We create our own destiny; no one can step in to bear the consequences of our actions. As we can see, thoroughly understanding the truth of life and the universe will bring us infinite benefits. Once we understand and deeply believe in the law of cause and effect, we will no longer create any more negative karma and will not have to bear the consequences or fruits and we will have transcended the Ten Realms. From the aspect of causality, the Four Sage Realms are the rewards for diligent cultivation and attainment, while the Six Realms are the consequences of good or bad deeds. The Six Realms can be further categorized into the Three Good Realms of humans, asuras, and heavenly beings, and the Three Bad Realms of hells, hungry ghosts, and animals. After understanding karma and its consequences, we will refrain from creating any more karma or at least not that which is negative. By applying the above concepts to our daily lives, we will attain what everyone wishes for: happy lives, joyful families, successful careers, harmonious societies, prosperous nations, and a peaceful world. Can we obtain achievement? Yes. However, only the Buddha’s teachings completely provides the solution to humanity’s search for true happiness. Clearly understanding this, we realize that this teaching is essential for everyone. Since this teaching encompasses infinite space and time, it surpasses differences in nationality, ethnicity, political affiliation, and religion. 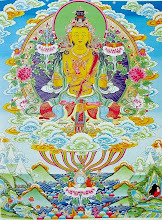 It is for all sentient beings in the Nine Realms below that of the Buddhas. 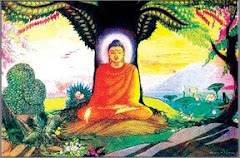 In the sutras, for example in the Avatamsaka Sutra and the Ksitgarbha Sutra, we read of different religious followers who had learned the teachings during Buddha Shakyamuni’s time. The Avatamsaka Sutra, the first sutra given by him in the state of samadhi, tells of many religious followers who came to learn from him. These two sutras tell respectively of a Hindu priest and a daughter of a Hindu priest who, by adhering to the Buddha’s teachings attained the levels of Arhat and Bodhisattva. From these examples, we understand that Buddhism transcends religious beliefs and that any religious follower can learn and benefit from it. Buddhism and our modern educational systems are in some ways similar. For example, becoming an Arhat is equivalent to earning a university bachelor’s degree and becoming a Bodhisattva is equivalent to earning a master’s degree. Buddhahood, the highest degree, is equivalent to a doctoral degree. Followers of any religion can attain these stages of enlightenment. Is it necessary to abandon one’s religion and learn the Buddha’s teaching to attain enlightenment? Definitely not. If we were to go to school or study abroad, we would not need to change nationality or religion because the purpose of studying does not conflict with nationality, religion, and so on. Therefore, Buddhism is an education. Titles such as Arhat, Bodhisattva, and Buddha are simply degree names. Regardless of our differences, we will all achieve these degrees as long as we diligently follow the teachings. Thus, the Initiation Ceremony of the Three Jewels is the formal enrollment into a school where Buddha Shakyamuni, our original teacher, guides us in the objectives, methods, and principles of attaining enlightenment. Actually, there is only one teacher, Buddha Shakyamuni, for all Buddhists. 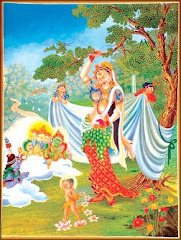 Great awakened beings such as Manjusri Bodhisattva (symbolizing great wisdom), Samantabhadra Bodhisattva (symbolizing great vows) and Avalokiteshvara Bodhisattva (symbolizing great compassion) were all his earlier students. Today, we too are his students. Bodhisattvas are our schoolmates, seniors who studied before us while we are freshmen. As they can serve as teachers, Buddhas, Bodhisattvas, and Arhats are not to be worshipped but respected. What is the ultimate goal of this education? The sutras teach us that it is Anuttara-Samyak-Sambodhi. This very important and well-respected phrase that is transliterated from Sanskrit, means the highest, proper, and complete enlightenment and wisdom. Whoever attains it will intuitively know and sense every aspect of the true reality of life and the universe. This attainment is the ultimate goal of all the Buddha’s students. This ultimate perfect wisdom is innate. We read in the Avatamsaka Sutra: “Every being possesses the same wisdom and virtuous abilities as Buddhas.” This is true equality. “Every being” refers to not only human beings and heavenly beings but also all animals, including insects, as well as hungry ghosts, and those beings in the hell realms. Why do we not have this wisdom? Due to our wandering thoughts and attachments, we have temporarily— but not permanently—lost our original abilities. The true nature exists; we just cannot recognize it. It is explained in the Awakening of the Faith Treatise that: “Enlightenment is innate, delusion is not.” Innate enlightenment is the wisdom, virtue, and abilities of the Buddhas within our true nature. Wandering thoughts and attachments are not within our basic nature; therefore, they can be discarded. This is how we sever our wandering thoughts and attachments to nurture our unwavering belief and confidence in attaining Buddhahood. If we do not understand the true reality, we will always doubt how ordinary people with such heavy karmic obstacles can become Buddhas. Our afflictions, bad habits, and ignorance are so severe. How could we sever them all? Buddhas and Bodhisattvas, who are enlightened beings, sincerely and compassionately assure us that the principle is reasonable. Principle means the virtue of our Buddha-nature. We have the innate virtues and abilities of the Buddhas, but cannot see them. It is similar to clouds covering the sun. Although we cannot see it, it is still there. Uncovering our Buddha-nature is like dispersing the clouds to let the sun shine through. When we remove wandering thoughts and attachments from our minds and cultivate virtue, we will be able to restore our Buddha-nature. This achievement is attained by the cultivation of virtue. Only through cultivation can we uncover our innate abilities. Although we possess the Buddha-nature, without cultivation, we are still ordinary beings of the Six Realms. Thus, practice is very important. In practice, how do we cultivate? 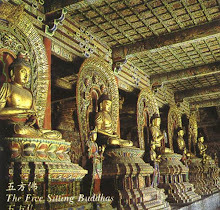 Formally taking refuge in the Three Jewels is the initial step as it symbolizes asking monks or nuns, to pass on ways of Buddhist cultivation. Taking Refuge means to find a shelter that we can return to and rely upon and is often spoken of as “to return to the other shore.” In practice, from where do we return and upon what do we rely? 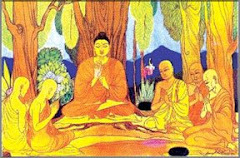 The Three Jewels of the Buddha, the Dharma, and the Sangha. In the first step, we return to and rely on the Buddha. “Buddha”is a Sanskrit word meaning awareness and understanding. When we take refuge in the Buddha, we are returning from our deluded state of mind and relying upon an awakened, understanding mind. Today we are unwavering in our determination to understand the teachings and to undertake the Initiation Ceremony of the Three Refuges. Have we awakened? If not, then we will not be able to turn back or to learn Buddhism. Outside this building, there are many people out walking in the street. Why can they not accept Buddhism and take the Three Refuges? They are not awakened. Participating in the Initiation Ceremony and accepting the teachings are the first steps of awakening to the importance of learning this teaching. In the Platform Sutra, the Sixth Patriarch of Zen, Master Huineng, used a different approach in explaining the Three Jewels. He used the words awakening, proper understanding, and purity instead of the words Buddha, Dharma and Sangha. Because he was afraid that as Buddhism was passed from generation to generation, if he used these words, people would misunderstand and think of a Buddha statue for the Buddha Jewel, a sutra for the Dharma Jewel, and a Buddhist monk or nun for the Sangha Jewel. These are not what we should return to. We need to take refuge in our true nature Buddha. We read in the Awakening of the Faith Treatise: “The true nature awareness is innate.” We need to return to and rely upon our innate awakening. To return from our illusions and unawareness and to rely on our innate enlightenment is to take refuge in the Buddha. We are not to take refuge in the Buddha by relying upon him, but that we were to return from our delusion and rely upon our innate true nature, our Buddha-nature. In the second step, we take refuge in the Dharma, returning from incorrect views by relying upon proper views and understanding. Dharma is the proper comprehension and viewpoint of life and the universe. The Dharma Jewel is the infinite, innate wisdom of true nature that is also called Prajna wisdom. Relying upon this wisdom to correct our erroneous thoughts, speech, and behavior is the meaning of taking refuge in the Dharma Jewel. Among the Three Jewels, the Dharma is the primary one we should rely on. In this day and age, Prajna wisdom will be our primary concern. However, our innate wisdom cannot be quickly restored. Then what should we follow? Sutras are records of the Buddha’s teachings that describe the truth of the universe and life. Before our Prajna wisdom has been fully recovered, we follow these teachings and use them as a guideline. If our thinking coincides with the sutras, then our comprehension is correct, in accordance with that of the enlightened beings. For example, the Buddha teaches us to respect and take care of our parents and teachers, to be compassionate and not kill any living being and to practice the Ten Good Conducts. If our perception is different from that of the Buddhas, then we must have gone off track, because everything in the sutras is true. People may wonder in this modern age why we should be following what the Buddha taught three thousand years ago. We may boast of our technological achievements, but we still need to use mechanical instruments to record sound and images. Enlightened beings do not need to use such instruments. They know everything in the past, present, and future throughout the universe. Without a video camera, they can manifest all of the Buddha-lands for us. What ability enables them to do so without the aid of machines? It is the ultimate perfect understanding, the virtue of our true nature. Able to generate everything, it can make everything possible. All of our machines come from our wandering thoughts. When we compare our abilities to those of the enlightened beings, ours are far behind. Thus, we need to affirm and accept that the Buddha’s teachings are true and correct. We would do well to sever our discriminatory thoughts and cultivate by following the Buddha’s teachings. However, we must beware of fraudulent sutras. It is easy for us to encounter books that are reputed to be sutras, especially in a modern world that promotes freedom of speech and publication where essentially anyone can publish books. In ancient times when the sutras were first brought to China, each one had to undergo a strict examination by experts, followed by the emperor’s official seal to prove its authenticity. Even the sutra commentaries of ancient patriarchs underwent the scrutiny of highly accomplished monks and scholars of the time, before receiving the emperor’s approval for distribution. Today, no one regulates or enforces this process. So, if we want to read or consult the sutra, we should read authentic ones. We can verify a sutra’s authenticity by checking for its listing in the Dragon Qianlong Canon of the Sutras. This Canon of one hundred and sixty-five volumes was compiled under the decree of Emperor Qianlong in 1738. Previous canons were meticulously certified by the most accomplished monks and scholars of their time and thus serve as reliable references as well. In the third step, we take refuge in the Sangha Jewel. Used here, Sangha does not mean a group of monks or nuns. There are two representations, purity of mind and harmony in life. First, Sangha refers to living in a way that safeguards our minds from temptations while maintaining the purity of our six senses of sight, sound, smell, taste, touch, and thought. Today, people suffer much more from pollution of the mind, spirit, and body than people used to. Even the earth’s ecological system is off-balance. There are holes in the ozone layer that are pollution of the sky. Almost everything from the sky and the earth to their inhabitants are contaminated. Most people are aware of environmental pollution. Many governments are also promoting environmental protection to ensure better living conditions. However, the effectiveness of these protection programs is questionable. The problem comes back to what the Buddha revealed, that the environment that is the dependent variable, changes with our minds that are the independent variable. If the impurities in our mind cannot be eradicated, our environment will never reach a state of purity. Therefore, if we want to improve the external environment, we first start internally by purifying our minds. Taking refuge in the Sangha means returning from pollution and relying upon purity of mind. These are the primary disciplines and unchangeable guidelines in our practice from the beginning of cultivation to the attainment of Buddhahood. From now on, if people ask us what we are cultivating, we can explain that we are cultivating the Three Refuges of awakening, proper understanding, and purity. What are we learning? We are learning to achieve the ultimate, perfect wisdom. When we have perfected our cultivation of these Three Refuges, we will attain perfect complete enlightenment and become Buddhas. How do we attain this ultimate, perfect wisdom? By practicing awakening, proper understanding, and purity. What are the methods we use for cultivation? There are infinite methods available depending on the ability and condition of each individual practitioner. Methods are not fixed, but flexible. However, we must remember that our learning objective always remains the same: awakening, proper understanding, and purity. Bodhisattva in the Surangama Sutra and Samantabhadra Bodhisattva in the Avatamsaka Sutra. In addition, we can use many supporting methods. As Pure Land practitioners, we follow the Five Guidelines to help us in our daily cultivation. First, we advocate Confucius’ Five Virtues of gentility, kindness, respectfulness, thriftiness, and humility. Since he was a person of great virtue, we can use Confucius as a role model and use his Five Virtues to cultivate our bodies and minds. We use the virtues as the foundation for our cultivation and continue to build our cultivation with the Three Conditions. 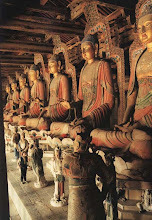 We read of the Three Conditions in the Visualization Sutra. The First Condition is to be filial to parents, be respectful to teachers and elders, be compassionate and not kill any living being, and cultivate the Ten Good Conducts. The Second Condition is to take the Three Refuges, abide by the precepts, laws and customs, and conduct oneself in a proper and dignified manner. The Third Condition is to generate the Bodhi mind of compassion and understanding, deeply believe in the law of cause and effect, recite and uphold the Mahayana sutras, and encourage others to advance on the path to enlightenment. The Buddha told us that the Three Conditions are the causes that brought all the Buddhas of the three times of past, present and future and the ten directions to enlightenment. Therefore, if we want to become Buddhas, we cannot neglect this important step in our practice. Proceeding upward from the Three Conditions, we advance to the second level that is the Six Harmonies that are based on the Three Conditions. If we cannot achieve in the Three Conditions, then we cannot successfully practice the Six Harmonies The first principle is to share the same viewpoints or goals. There will be no conflicts in the world and world peace can be attained if we all share similar thoughts. The Buddha’s teaching is based on this principle of creating common understanding for all beings. This common understanding is so remarkable because it is based on our true nature and not on Buddha Shakyamuni’s opinion. He taught us how to cultivate and explore our own innate wisdom, virtues, and abilities. We are not imitating him; rather we are rediscovering our inborn potential. His teaching is truly extraordinary. The second principle is to observe the same precepts. Practicing the precepts includes cultivating an attitude of abiding by society’s laws and customs. Once everyone shares similar viewpoints and is able to follow laws, society will be stable, nations would be prosperous, and world peace will naturally ensue. It is also important to share benefits harmoniously. In our society, it is beneficial not to have a big difference in wealth between people but to try to close the gap between the “have’s” and the “have-nots.” Harmoniously sharing wealth consequently settles the conflicts over wealth. Sharing benefits equally with others is an act of wisdom and a genuine cultivation of good fortune. The reason people do not have equal wealth comes from the different seeds that they have previously planted. If people did not plant the same seeds, how can they expect to harvest the same fruits? The Buddha perfectly understands the true reality and is able to thoroughly explain the law of cause and effect. He taught that those who harvest more should share with those who harvest less. This sharing will become the seeds that will benefit us later. According to the law of cause and effect, poor people need to cultivate more good fortune to receive better harvests in the future. Also, the wealthy need to share their possessions in order to remain wealthy in the future. Only by doing so will the world become peaceful. This true merit comes from learning the Buddha’s teachings. we advance to the Three Conditions and the Six Harmonies that are the important basis before practicing Buddhism. Then the Threefold Learning is the foundation before practicing MahayanaBuddhism that includes the Six Paramitas. 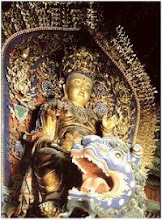 Finally, we practice the Ten Great Vows of Samantabhadra Bodhisattva to attain Buddhahood. It is not that difficult to remember these five guidelines and combining them with chanting “Amituofo” will assure the attainment of what people have always pursued, a harmonious family life, a successful career, and a peaceful society. Now that we have a clearer understanding of what we are learning and sincerely want to follow the teachings and study with a good teacher, we need to practice diligently toward accomplishing our ideal goal in education. Therefore, I am here to pass on the true meaning of Three Jewels which is to return to and rely upon our Three Jewels of true nature. sutras, monks and nuns. Making offerings to the Buddha’s image serves two purposes. First, it honors our original teacher, Buddha Shakyamuni. Every time we look at the image, we remember the great teachings that he passed on to us. Also, we need to remember his great kindness. For example, we Chinese people never forget our ancestors. Although they passed away a long time ago and are unknown to us, we still honor them in our constant remembrance of them and our origins. In this way, we nurture the heart of honesty and kindness. Second, making offerings to the Buddha’s image also reminds us to emulate the Buddhas. When we see their images, we remind ourselves to awaken and not to be deluded. Thus, we use a Buddha image to remind us to return and rely on awakening. Sutras serve the same purpose by reminding us that we have taken refuge in the Dharma and need to maintain proper viewpoints and understanding. Similarly, seeing a monk or nun, representing the Sangha, can remind us of the importance of maintaining purity of the six senses and harmony with others. We do not usually think about purity when we see ordinary people, but when we see monks or nuns in their traditional attire, take me for example, it will remind people of purity of the six sense organs. Therefore, attending the physical form of the Three Jewels greatly benefits us because they constantly remind us of the path to awakening. Some practitioners attend the physical forms of the Three Jewels at home. The Buddha’s image symbolizes the Buddha Jewel while the Bodhisattva’s image represents the Sangha Jewel. When we honor the Three Sages of the Western Pure Land, Buddha Amitabha symbolizes the Buddha Jewel, and Great Compassion Bodhisattva and Great Strength Bodhisattva symbolize the Sangha Jewel. The sutras symbolize the Dharma Jewel. These three remind us of the treasures within our true natures. Of all the Buddhist sutras, the Infinite Life Sutra is what I recommend the most. Although not too lengthy, the text completely encompasses the Buddha’s teachings and is thus well suited to modern practitioners. The full title of this sutra The Buddha Speaks of the Infinite Life Sutra of Adornment, Purity, Equality, and Enlightenment of the Mahayana School fully reveals the objectives, principles, and methods of cultivation in the Buddha’s teachings. “Infinite Life” in this sutra’s title embodies the most important of all infinities for without infinite life, we could not enjoy all the other infinities such as infinite wisdom, abilities, virtues, wealth, and so on. nature are infinite. After Master Huineng attained enlightenment, he said: “Who would have expected that our innate nature is originally complete in itself? Who would have expected that innate nature can produce myriad things?” Infinite Dharma originates from true nature; thus, the immeasurable unbounded existences of the Ten Realms are created by the true nature. The word “Adornment” in the sutra’s title represents truth, goodness, beauty, and wisdom, qualities that are not a true reality in this imperfect world. They exist within the true nature and will be found when we seek within. 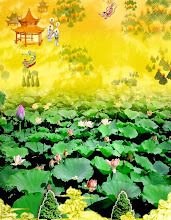 “Purity, Equality, and Enlightenment” also express the principles of cultivation. Purity represents the Sangha Jewel; Equality represents the Dharma Jewel; and Enlightenment represents the Buddha Jewel. 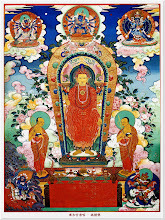 These three are also equivalent to the Threefold Learning, and encompass the Buddha’s forty-nine years of teachings. Purity stands for self-discipline and the precepts; equality stands for deep concentration and the sutras; enlightenment stands for wisdom and the commentaries. 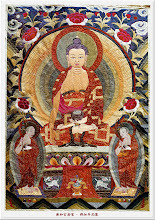 “Purity, Equality, and Enlightenment” represent the Buddhist Canon, the Threefold Learning, as well as the Three Jewels. Therefore, although the Infinite Life Sutra is not a long sutra, it contains all of the Buddha’s teachings. If we have busy lives and do not have time to study numerous Buddhist sutras, we can start with the Infinite Life Sutra. By thoroughly understanding it, not only will we understand Buddha Shakyamuni's forty-nine-years of teachings, but also the teachings of all the Buddhas, because none of these teachings surpass the Infinite Life Sutra and all come from the true nature. The Buddha Speaks of the Infinite Life Sutra of Adornment, Purity, Equality, and Enlightenment of the Mahayana School expresses the essence of all sutras. Practicing according to the teachings in this sutra will perfectly fulfill the requirements of taking refuge in the Three Jewels! Today, I have explained the meaning of taking the Three Refuges. We will begin the Three Refuges Ceremony by sincerely and respectfully repeating the oath three times in front of the Buddha, vowing to be willing to become the Buddha’s student and to learn from him. I, Chin-Kung, will be the witness and initiation teacher. Please remember that the original teacher is Buddha Shakyamuni. Do not consider me as the original teacher. One does not take refuge in the monk or nun conducting the ceremony, but rather in the Buddha, the Dharma, and the Sangha, thus becoming a student of the Three Jewels. The following is a simple yet solemn initiation ceremony. Everyone will receive a certificate of the initiation with an oath extracted from the Book of the Precepts by Master Hong Yi. [The precepts ceremony is also from Master Hong Yi.] This is the oath used by the Buddha when he passed on the Three Refuges to his students. We use it for commemoration, simplicity, and ease. Let us stand in front of the Buddha and Bodhisattva images with our utmost sincere, pure, compassionate, and respectful heart. in Chinese and then in English. Prostrate once at end of section. return and rely upon the Buddha of supreme good fortune and wisdom. Return and rely upon the Dharma for it is the unsurpassed teaching for being free from all desires and temptations. Return and rely upon the Sangha for by its practice of the Six Harmonies, it is the most deserving of respect of all communities. for all sages and Arhats. Wo dang suixue suizuo suichi. At all times, I will follow, uphold, and practice these precepts. This simple, convenient, and effective way to practice Buddha name chanting is especially suitable for those who find that they have little time for cultivation. 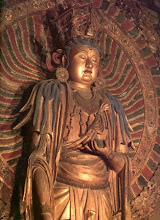 The chanting helps us to be mindful of Amitabha Buddha. It brings us joy. We begin when we wake up. Sit up straight and clearly chant “Amituofo” ten times with a calm and focused mind, aloud or silently. We repeat this eight more times during the day, each time chanting “Amituofo” ten times. This chanting can be done by following one of two programs. Please choose the one that is the most suitable for your circumstances. The key is regularity; disruption of this practice will reduce its effectiveness. When we recite consistently without interruption, we will soon feel an increase in our wisdom, sernity, and purity of mind. Diligent practice of this method together with unwavering belief, vows, and living a moral life can ensure fulfillment of our wish to reach the Western Pure Land. Affliction. Condition or cause of pain, distress, and suffering which disturbs the body and mind. 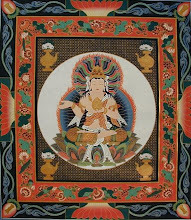 Amitabha. The name of the Buddha of the Western Pure Land, primarily meaning Infinite Life and Light. Called “Amituofo” in Chinese. 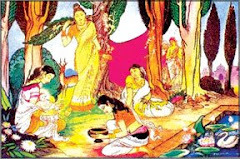 Anuttara-samyak-sambodhi (Skrt). Highest, proper and complete enlightenment. Arhat (Skrt). One who has reached self-realization, a state in which one possesses no erroneous perceptions, views, speech or behavior. Attachments. Fixed to certain ideas or objects. Bodhi mind (Skrt). The great compassionate and sincere mind, with every thought to attain complete self-realization for self and other. Bodhisattva (Skrt). One who helps others to reach realization after achieving their own. Buddha (Skrt). One who has reached perfection in both self-realization and helping others to reach realization. Delusion. False beliefs, wrong views. Dharma (Skrt). 1) The teachings of the Buddha (generally capitalized); 2) Phenomena; 3) Law, doctrine. Five Guidelines. Following: 1) The Three Conditions; 2) The Six Harmonies; 3) The Threefold Learning; 4) The Six Paramitas; and 5) Samantabhadra Bodhisattva’s Ten Great Vows. 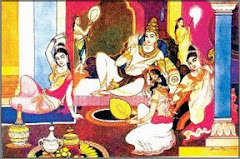 Five Pure Land Sutras and One Sastra. 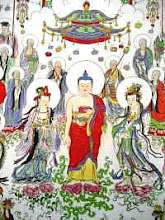 (1) The Buddha Speaks of the Infinite Life Sutra of Adornment, Purity, Equality and Enlightenment of the Mahayana School, (2) The Amitabha Sutra, (3) The Visualization Sutra, (4) "The Chapter of Universal Worthy Bodhisattva’s Conduct and Vows", from the Avatamsaka Sutra (5) "The Chapter on the Perfect Complete Realization of Mahasthamaprapta Bodhisattva through Buddha Name Recitation" from the Surangama Sutra and (6) Vasubandhu Bodhisattva’s Report on the Way to Reaching the Pure Land. Good fortune. Happiness, intelligence, wellbeing, prosperity, and so on. The great benefits of the human and celestial realms; therefore, they are temporary and subject to birth and death. Hungry ghost. One of the three lower realms. Hungry ghosts wander in a limbo-like state in which they can find no satisfaction for their desires, especially but not exclusively, for their hunger or thirst. One is reborn here if he or she has extreme greed. Karma (Skrt). A deed. Karma is divided into three types: good, bad, and neutral, that which is neither good nor bad. 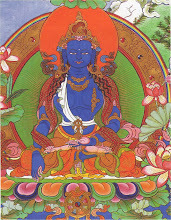 Mahayana (Skrt). One of the two major branches of Buddhism. 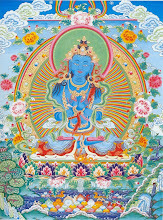 Bodhisattva path of helping all sentient beings to attain universal liberation. Nine Realms. All ten realms minus the Buddha realm. Phenomena. Things, events, happenings, everything in the entire universe. Prajna wisdom (Skrt). Intuitive wisdom. 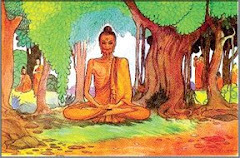 Pratyekabuddha (Skrt). One who attains his enlightenment alone, independent of a teacher, with the objective of attaining Nirvana for him or herself. Precepts. Rules set up by Buddha Shakyamuni to guide his students from erroneous thoughts, speech, and behavior. Pure Land. See Western Pure Land. Pure mind or purity of mind. The mind without discrimination or attachments. Samadhi (Skrt). Proper enjoyment. Usually denotes the particular final stage of pure concentration and contemplation. There are many degrees and types of samadhi. Sangha (Skrt). Group of four or more peoples who properly practice the Buddha’s teaching together, especially the Six Harmonies. Sanskrit (Skrt). Language of ancient India. Sastra (Skrt). Commentary on sutras primarily by Bodhisattvas. Sentient being. A living being that is self-aware and that can experience feeling or sensation. Six Paramitas. Giving, self-discipline, patience, diligence, deep concentration and wisdom. Six Harmonies. 1) Share the same viewpoints or goals. 2) Observe the same precepts. 3) Live and practice together harmoniously. 4) Not quarrel. 5) Experience the inner peace and happiness from practicing together harmoniously. 6) Share benefits harmoniously. Six Realms. Three upper realms are heavens, asuras, and humans. Three lower realms are animals, hungry ghosts, and hells. Six senses. Sight, sound, smell, taste, touch, and thought. Six sense organs. Eyes, ears, nose, mouth, body, and mind. Sutra (Skrt). Teaching by the Buddha, initially given verbally, later compiled and written down by the Buddha’s students. Ten directions. North, Northeast, East, Southeast, South, Southwest, West, Northwest, above, and below. Ten Good Conducts. No killing, stealing, sexual misconduct, lying, abusive language, bearing tales, seductive words, greed, anger, or ignorance. 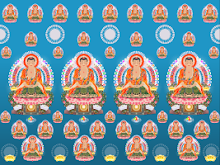 Ten Great Vows of Samantabhadra Bodhisattva. 1) Pay respect to all Buddhas. 2) Praise “Thus Come One.” 3) Make offerings extensively. 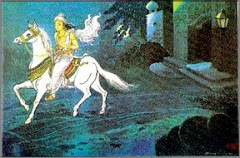 4) Repent of Karmic obstacles. 5) Be joyful over others meritorious deeds. 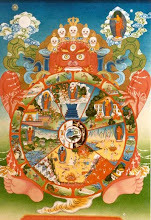 6) Appeal to the Buddha to turn the Dharma wheel. 7) Request the Buddha to reside in this world. 8) Constantly be a diligent follower of the Buddha’s teaching. 9) Accord with all sentient beings. 10) Dedicate all merits. Ten Realms. Six realms plus those of Buddhas, Bodhisattvas, Pratyekabuddhas and Sound-hearers. Three Conditions. The First Condition includes: being filial to one’s parents, being respectful to one’s teachers and elders, being compassionate and not killing any living beings and following the Ten Good Conducts. The Second Condition includes: taking the Three Refuges, abiding by the precepts, laws and customs, and conducting oneself in a proper and dignified manner. The Third Condition includes: generating the Bodhi mind, deeply believing in the law of cause and effect, reciting and upholding Mahayana sutras, and encouraging others to advance on the path to enlightenment. Threefold Learning. Self-discipline, deep concentration, and wisdom. Three Refuges. We take refuge in the Buddha, Dharma, and Sangha. When we take refuge in the Buddha, we are returning from our deluded state of mind and relying upon an awakened, understanding mind. When we take refuge in the Dharma, we are returning from deviant views and relying upon proper views and understanding. When we take refuge in the Sangha, we are returning from pollution and disharmony and relying upon purity of mind and the Six Harmonies. True nature. Our original, true self that we still have, but is currently covered by deluded thoughts. Western Pure Land. World created by Buddha Amitabha. An ideal place of cultivation, those who are born there are no longer subject to reincarnation.